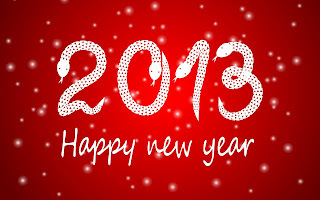 I wish all readers of Bruce's Journal a happy, healthy, and prosperous new year. Whether you are a regular reader or just found one entry through a search engine, I thank you for stopping by and hope that reading my thoughts have benefited you in some way. 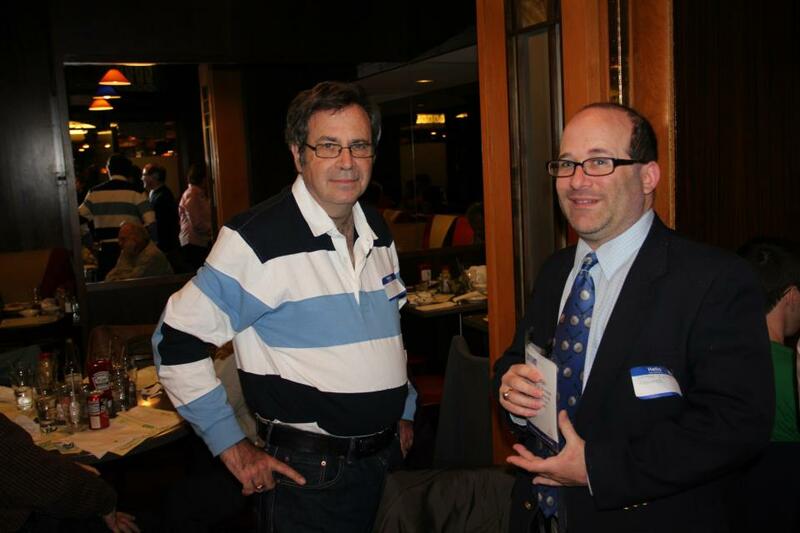 Above is a photo of Cool Bobby B with his biggest fan Alan Berman. It is a shame that Doo Wop music is no longer heard on terrestrial radio, but since I have SiriusXM I make it my business to hear at least part of Bobby's show on 50s on 5 Sunday nights at 9 PM. Bobby is also heard on WLNG from Eastern Long Island on Tuesday nights. ESPN3 is a TV station that can be accessed on a laptop, desktop or smartphone. Both the NJIT men's and women's basketball teams were scheduled at 7 PM tonight to appear on ESPN3. The mens team lost to Villanova 70-60 in a game where they were close most of the time. 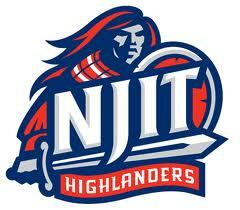 They are now 0-15 against Big East teams in the 7 years that NJIT has been in Division I. Your team still loses whether it is by one point or 50 points. The women lost to St. Johns 55-37. We decided to be "culture vultures" today by taken our annual trip to the Whitney Museum on Madison Avenue at 75th Street. They had an interesting exhibit called Sinister Pop which featured some of the counterculture pop art of the 1960s and 70s including artists such as Andy Warhol. There were a few funny pictures of Richard Nixon including one portraying him in a negative fashion and encouraging people to vote for George McGovern. This exhibit on the second floor will be shown until March 31, 2013. Wade Guyton and Richard Artsschwagel were featured in other exhibits in the museum. It is nice to do something different once in a while. 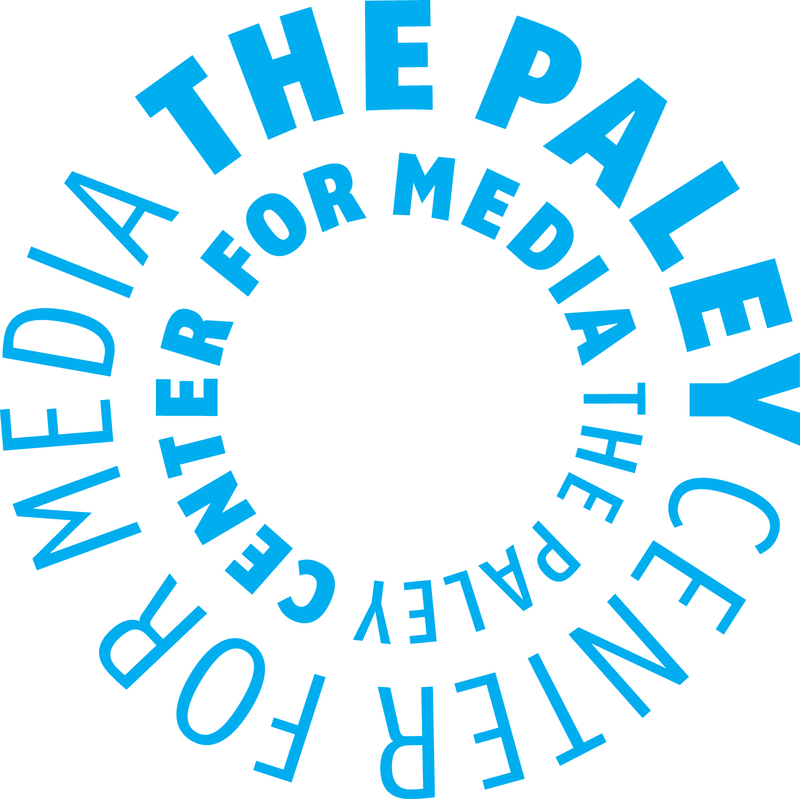 Karen and I visited the Paley Center on West 52nd Street as we do a few times a year. There was a photographic and video exhibition for the 50th anniversary of the Rolling Stones. There were numerous photographs on the wall in addition to a television monitor showing 10 television appearances of the Stones. From there we went upstairs to the library to view some old shows. 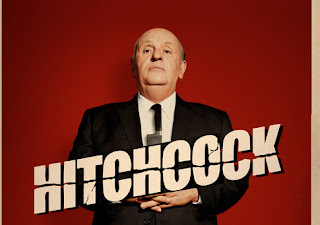 Since Karen is very much into Alfred Hitchcock we viewed 3 episodes of Alfred Hitchcock Presents which was on the air in the late 1950s and early 1960s. We also saw one episode of All in the Family and one of One Day at A Time. Regular readers of Bruce’s Journal should know that for 50 years I have been a big fan of Car 54 Where are You that originally aired from 1961-63 on NBC. I recently reported on an excellent web site on the show that lead me to this book which is the definitive volume on this show. Grams, M. (2009). Car 54 where are you?. Albany, GA: BearManor Media. It tells a lot about how Nat Hiken conceived the series. Most police shows back then demonstrate the excellent work that officers do in fighting and preventing crime. Hiken saw the need to demonstrate that policeman are people too with lives away from their jobs. He was quoted as saying “I want to show that cops are human beings. They’re regular guys underpaid for what they do. And have human failings and problems.“ The working title for the show was “The Snow Whites” since back then the tops of police cars were white. Back then two-tone cars were popular. My dad had a 1957 Chevy Bel Air with a black body and white top. The show was filmed in the Bronx with a red car since in the early 1960s police cars were green. This way Car 54 would not be mistaken for a real police car. Reaction to the show was mixed. For example the New York Times wrote an editorial praising the show for its humanizing police officers. There was some criticism of the show’s portrayal as police officers as clowns. One can not argue with success as the show garnered very high ratings in the two seasons that it was on the air. 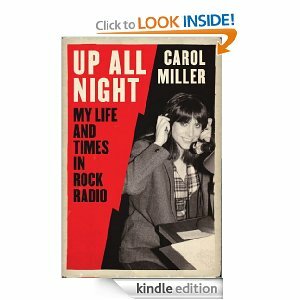 Until I read this book, I did not know the reason that the show was only on the air for two years. The author reports that according to Fred Gwynne (the actor who played Officer Muldoon) Nat Hiken was under great stress to write, produce, and direct the series. He just couldn’t handle that and sadly pulled the plug on the series. Hiken was a heavy smoker and sadly passed away in 1968 at age 54. I thank him for the two seasons and 60 episodes of the series. The author provides a synopsis of the 60 episodes and an appendix of unused plot suggestions and outlines. He provides biographical information on most of the cast members and much minutiae about the series. No book is perfect, I would have liked to see more information about cast members Beatrice Pons, Hank Garrett and Charlotte Rae. I must commend Martin Grams for providing a lengthy bibliography of sources he used to write this book. It is highly recommended for Car 54 fans who saw the show in the 1960s or those who found it in later years. We stayed for the first half of the second game which ended with South Carolina winning 63-56. 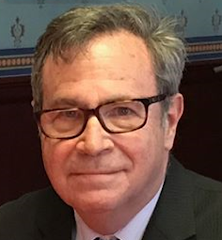 I picked up one of the Queens local newspapers and saw a mention of Mike Wallace of Sunnyside, appearing on Jeopardy on December 20. I turned on the show as usual at 7 PM and saw him win the game with over $20,000. It is always nice to see a local person win on the show, so I wish him well in his future appearances. Ken Jennings still reigns supreme with 74 victories with Dave Madden a distant second at 19. Good luck Mike. Dickey, R A, and Wayne R. Coffey. 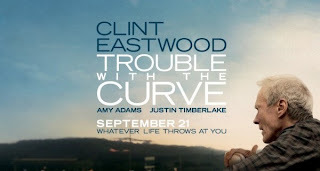 Wherever I Wind Up: My Quest for Truth, Authenticity, and the Perfect Knuckleball. New York: Blue Rider Press, 2012. He was very candid about his sexual abuse and how his baseball career struggled as he went from team to team at the major and minor league levels. His 20-6 season as he won the Cy Young award was one of the few highlights of the 2012 Mets whose record was a terrible 74-88. His trade to the Toronto Blue Jays was finalized today. Any trade is a risk. Since Dickey is a knuckleballer he doesn't have to throw very hard. It is hard to predict how long he can pitch. Perhaps last season was a fluke or maybe he can pitch effectively for several more years. Will the 4 young players become superstars or busts? 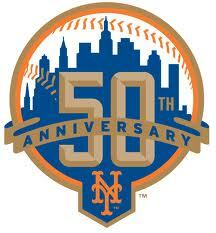 Bill Madden of the New York Daily News states that this trade could be Sandy Alderson's Gary Carter trade. Back in the 1980s Frank Cashen gave up popular Hubie Brooks to get Gary Carter who was a superstar for the Mets in the 1986 World Series. Only time will tell how this trade will work out. 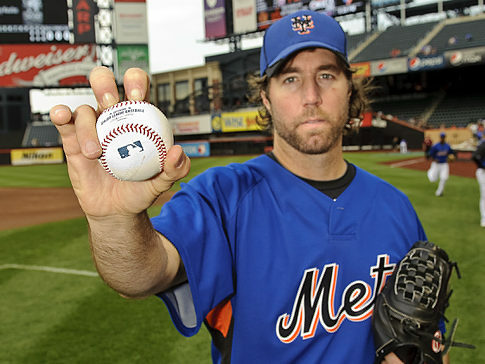 I will certainly miss R.A. Dickey. Why did he have to kill small children? 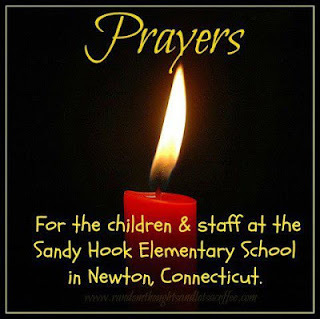 It so sad that there have been so many mass killings in recent years. There is a list of mass killings in the United States since Columbine in 1999 at http://www.newsmax.com/US/mass-shootings-us-colorado/2012/07/20/id/445971 .It is so sad that too many mentally deranged people carry guns. Can changing the gun laws prevent similar tragedies? 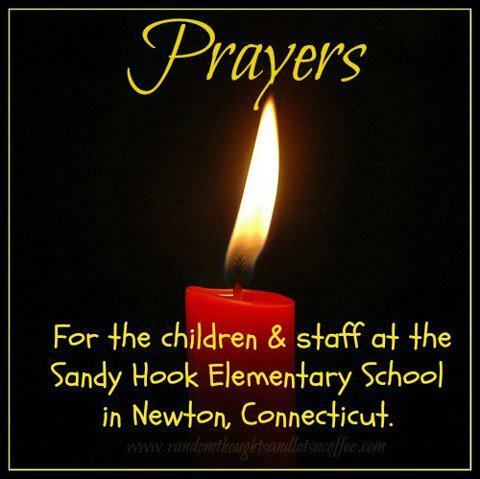 All I can say that I send my condolences to the family and friends of those who perished in this senseless tragedy. 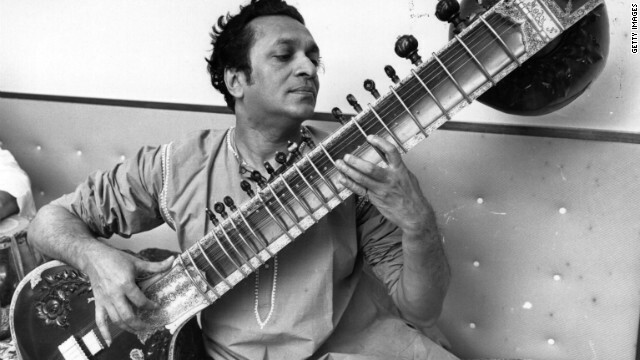 It was reported today that Indian sitar virtuoso Ravi Shankar died at age 92. He is best know to followers of pop music as teaching Beatle George Harrison to play that very complex musical instrument. 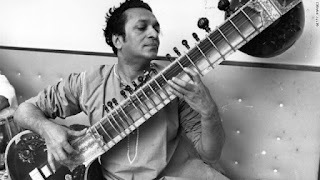 Back in the late 1960s Ravi did teach at City College of New York when I was a student there. My condolences to his family and friends. We have a bank CD coming due in the middle of January. We can get only 1.04% interest if we renew this CD for 5 years. How low can they go? There are 9 more working days until the holiday break. The university wide holiday party will be this Thursday at 3 PM. While the library luncheon will be Thursday the 20th. This Wednesday is the last day of classes as final exams begin on Friday. As the days go on it appears more likely that there will be no hockey season. I just hope the Mets keep R.A. Dickey. How can a team trade away the Cy Young Award Winner? I was looking at the Car 54 Facebook page and I found a reference to a terrific Car 54 web site. It includes everything you ever wanted to know about the show. 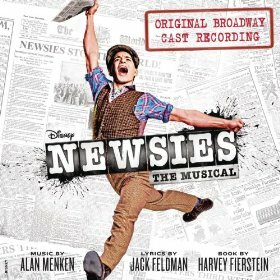 It includes, photographs, videos and biographies of the members of the cast. As far as I know Hank Garrett (Officer Nicholson) and Charlotte Rae (Sylvia Schnauzer) are the only cast members still living. I was impressed by a biography of Bea Pons who played Lucille Toody. Until now I was not able to absolutely ascertain if she were still leaving. She passed away in 1991 at the age of 85. I certainly thank John J. Williams of Nottingham, UK who is the web master. I suggest to Alan Berman the number one reader of Bruce's Journal to check it out since he is likely not going to try to get his first hole in one until 2013. Karen has been a fan of Alfred Hitchcock and his movies for many years. Back in the 1980s when we first got a VCR she taped many of his films. She has been anticipating the release of the new movie Hitchcock staring Anthony Hopkins. It wasn't playing at the local multiplex so we took a short drive to the Kew Gardens Cinema. Hopkins was absolutely superb in his portrayal of Hitchcock. 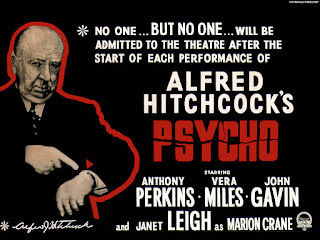 This movie showed his role as director of Psycho released in 1960. The shower scene in Psycho was considered very violent in 1960, but is quite tame by today's standards. We recalled that back then a movie opened in one or two theaters in Manhattan and weeks later came to neighborhood cinemas. 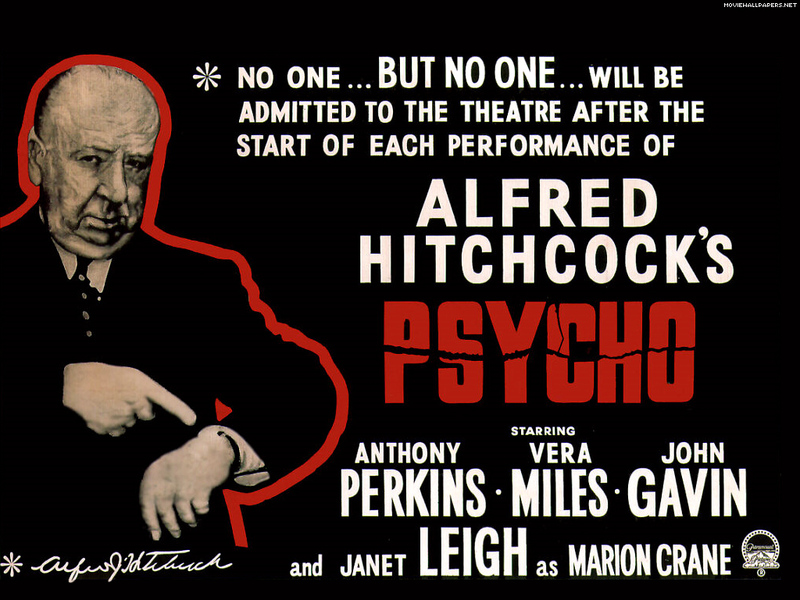 When we got home we couldn't resist going into our library of VHS tapes and viewing the original Psycho. A few weeks ago it was announced that Hostess Brands is ceasing operations. 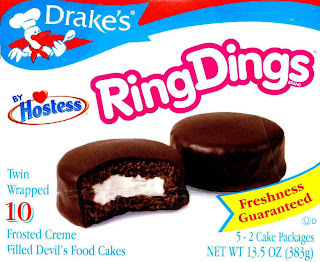 One of their products was Drake's Ring Dings. For many years I have eaten either and Ring Ding or a Yodel made by the same company after dinner. It looks like my ritual may be coming to an end. 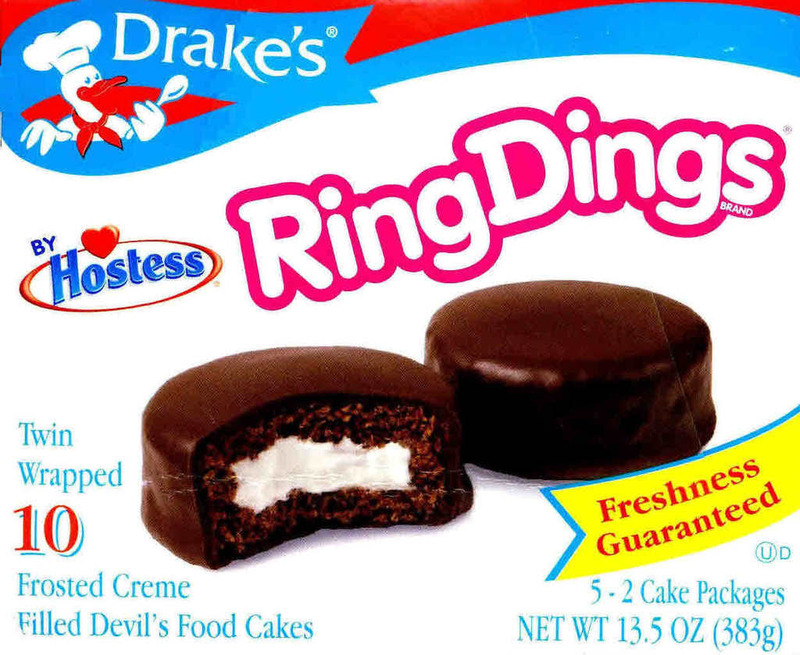 I am just hoping that another company picks up Hostess Twinkies and Drake's cakes. All I can do is hope. Question - He won the Presidential Medal of Freedom and is a member of the Rock and Roll and Minnesota Music Halls of Fame. The question - Who is Bob Dylan? The three contestants got it wrong, but Lee got it right! This weekend Jay Buckley announced his baseball tours for 2013. If you search on the box at top of the page under Jay Buckley you will see that we went on his tours in 2006, 2007 and 2010. We always like to visit new cities as we saw that Tour 11 visits Tampa Bay and Miami. Since we have never been to those ball parks, this tour is appealing to us. I would not look forward to visiting Florida in early August. It is many months away so we have plenty of time to decide if we want to go. 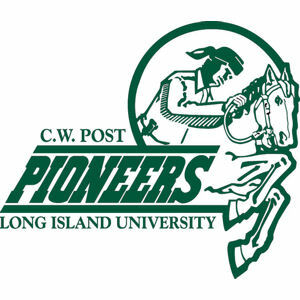 For many years I have gone to college basketball games at Hofstra, Queens College, And LIU Post. 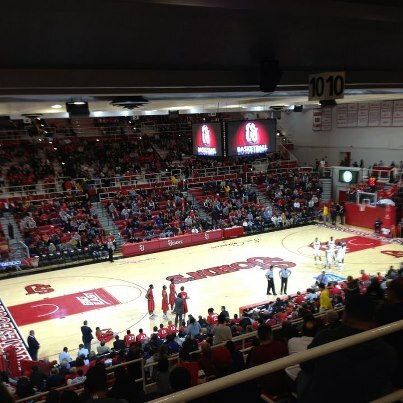 For logistical reasons it is difficult to attend games at NJIT. The mid-week games end very late and it would be difficult for me to get home as the trains run less often. It is tough enough to commute to Newark 5 days a week; thus I don't want to have to travel a 6th day for a basketball game. Today the NJIT played the St. John's University Red Storm at nearby Carnesecca Arena in Jamaica. I was able to get tickets from the Athletics office and sat in a section with about 20 NJIT students who made the trip from Newark. I just have a knack for finding things on the internet by accident. Regular readers of Bruce's Journal know that I just bought an iPhone and just love the Tune In radio app which includes thousands of internet and terrestrial radio stations. 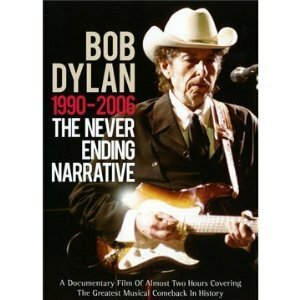 I was updating my favorites list and was looking for Pete Freckelton's Dylanradio.com which has been discussed in this journal. I have listened to it for at least 4 years and appreciate Pete's efforts in producing this station. 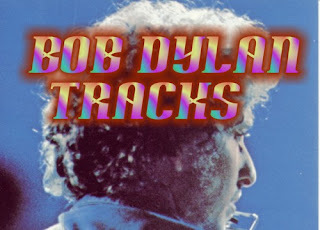 By accident while I was seeking Dylanradio.com, I found Bob Dylan Tracks which is run by Dan Murphy of Hollis, NH. 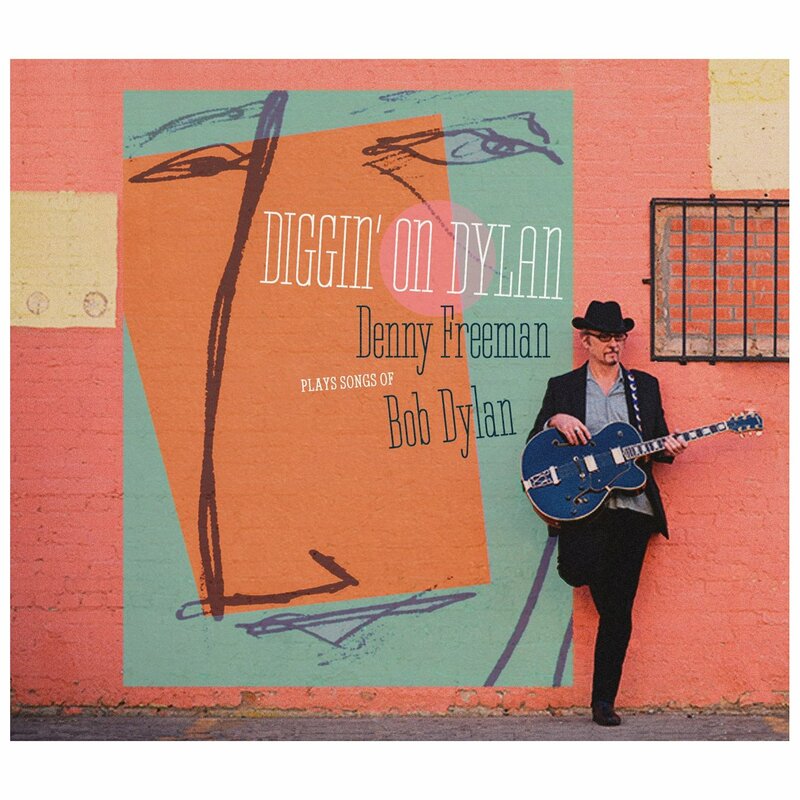 It is on Live 365 and is is described at http://www.live365.com/profiles/dylantracks?play=2 . To be honest, I just haven't had the time to listen to it, but it is on the agenda for tomorrow morning. The playlist on the web site indicates that it plays more mainstream Dylan and cover versions. I heard that oldies enthusiast extraordinaire Kate Palmer recently had a hip replacement operation. I certainly wish her a speedy recovery. Hopefully hearing Bob Radil's 60s 70s show on Friday nights will cheer her up. Maybe Kate can come up to Citifield next season to join us when the Mets play her beloved Phillies. Oh No! Not Another Bob Dylan Cover CD! There was a story in the recent Bob Dylan Fanzine Isis called Diggin' on Dylan by Denny Freeman. Of course, I had to get it. 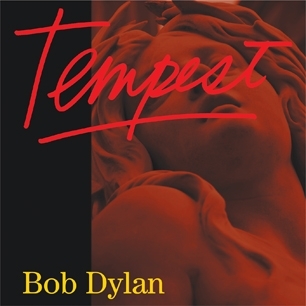 Briefly, it instrumental versions of Dylan classics. There is a short review in the Austin Chronicle. It was really an odd track out played on Dennis Mitchell's Breakfast with the Beatles. 1. I got a haircut. I was lucky on Wednesday since as soon as I walked into the shop, the barber was able to take me. 2. 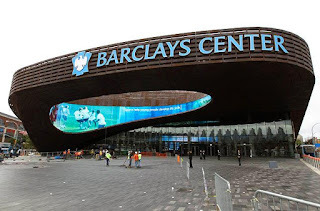 The Bob Dylan concert at Barclay's Center - see earlier entry. 3. Thanksgiving Dinner at Joyce's house in Dix Hills. Mom seems to be feeling better, but arthritis at age 93 is rough. 4. The movie Skyfall with Daniel Craig. It was good, but I prefer the earlier Bond movies with Sean Connery as 007. 5. I received the Rolling Stones Greatest Hits CD set called Grr. I have several of the early Rolling Stones albums on vinyl. -Montague Street - a Dylan literary magazine edited by Brooklynite Nina Goss. 8. I got an iPhone5. I had an iPhone 3 GS for about three years so it was time for an upgrade. I spent sometime this afternoon learning how to using the IOS 6 operating system and downloading apps that I used for the older model.. There will be a learning curve on using the new model. 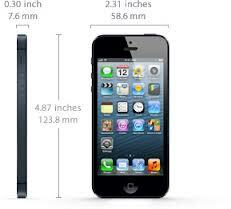 When will the iPhone 6 come out? 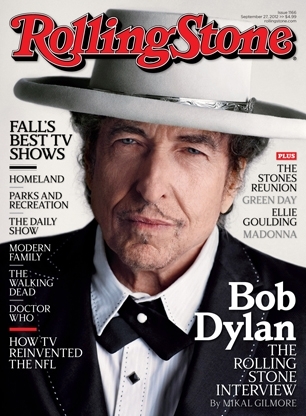 I guess people could talk and write about Bob Dylan indefinitely. So much has been said in many forms of the media about Dylan in the 1960s and 1970s. Certainly over time interpretations change. However, there is very little written or said about the later Dylan. Quite by accident I found the video listed above. 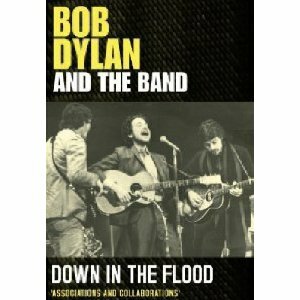 It features interviews with Dylan experts Johnny Rogan, Derek Barker, Clinton Heylin and Nigel Williamson. 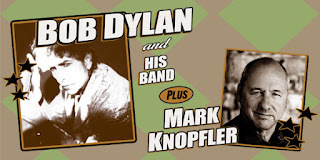 It shows how Dylan recovered from a career slump in the early 1990s. It is quite rare for anyone to be active in show business for over 50 years. With the Tempest CD and the Never Ending Tour continuing there will have to be a future video covering 2007- . 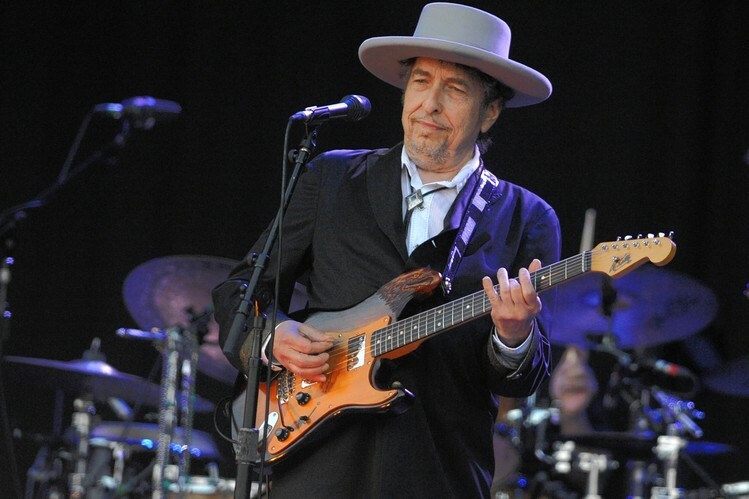 Let's hope that Bob Dylan will stay Forever Young and never retire. I highly recommend this video for all Dylan fans. The set list above was taken from Bill Pagel's Boblinks page and was online less than one hour after the concert ended. It's nighttime in the big city as the big city was Brooklyn this time. We made our first trip to the Barclay's center which recently opened. Mark Knopfler did the opening set and as you can see from the set list he played with Dylan on three numbers. Dylan appeared at 9:30 and started out with a country version of You Ain't Going Nowhere. The highlight had to be Lee's favorite Tangled Up in Blue that featured a harmonica solo. One song that has not been heard recently is The Levee's Gonna Break which is about flooding. Last night's show ends this leg of the Never Ending Tour which usually takes a break around Thanksgiving. Hopefully there will be a short appearance at the presidential inauguration in January. 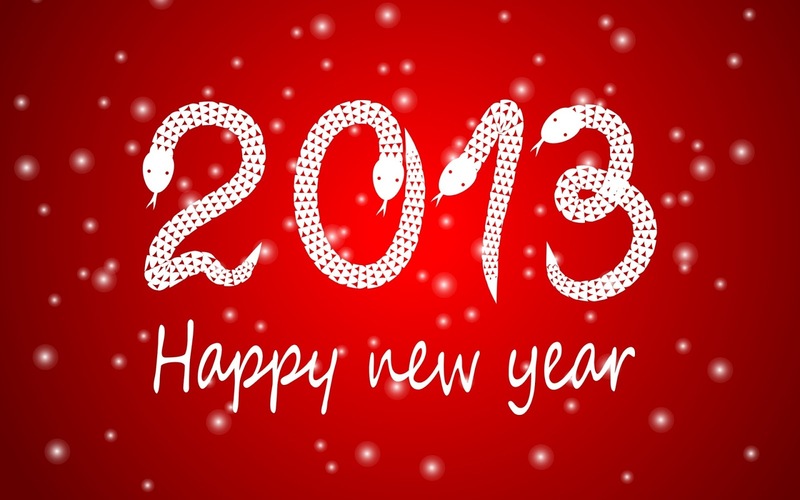 May the tour return to NYC in 2013. Dennis Mitchell just played it on Breakfast with the Beatles. It is an instrumental written by John Lennon and George Harrision. It is hard to believe that Thanksgiving is almost here. We were so engrossed in Hurricane Sandy, so the holiday is only 3 days away. There is a rumor on the radio message boards that 94.7 FM will become a country radio station after it is purchased by Cumulus. 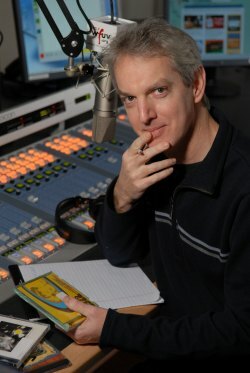 I hope this happens since until 1996 WYNY, NYC's last country station, was a favorite of mine. We are getting ready to see Bob Dylan at the new Barclay's Center in Brooklyn. We are keeping an eye on the set lists. 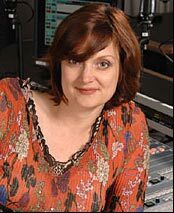 Claudia Marshall, formerly the morning DJ, moved to Vermont and has a weekly two hour radio gig. Sometimes I wish I could leave the rat race of NYC and move to a rural area. That's about it for now. I guess I have a little writer's cramp. We went to see Mom at the Bristal in Westbury yesterday. She seems to be doing better. We went to a pre-Thanksgiving dinner at the Samuel Field Y in Little Neck today. I am listening to Cool Bobby B's Doo Wop show on SiriusXM 50s on 5. 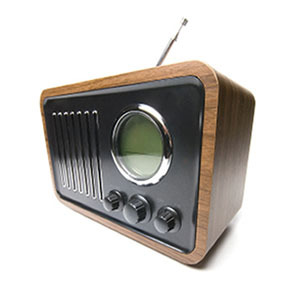 Radio personalities should know that when they come to an oldies meet and greet their listenership goes up. Right now Karen is thinking up her 7 favorite oldies to vote in Mike Riccio and Tom Natoli's yearly poll. Getting ready for the Bob Dylan concert on Wednesday. When I got my first computer in late 1994 the Internet was in its infancy. I signed up for an online service called Prodigy. Back in those days we had to use a 1200 baud phone modem to go online. There were several radio message boards on Prodigy. The gentleman in the photo above with me is Jonathan Binstock whom I met back then on Prodigy. Since that time I have met him when I have traveled to the Washington, DC area where he lives. He is a lawyer who has a convention in NYC the second weekend in November. Luckily, he was free on Saturday afternoon and came to the famous oldies radio meet and greet. I also met Walter Parker on the Prodigy radio boards. In addition to being an oldies radio enthusiast Walt is big into horse racing. 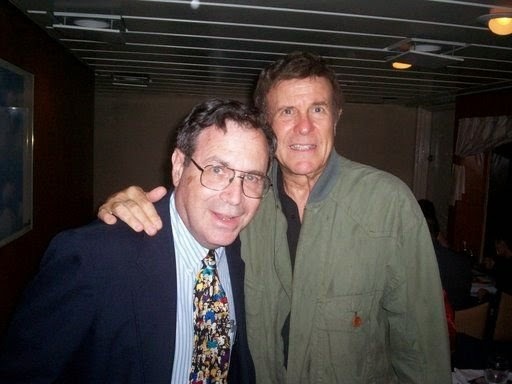 I have met him a number of times in NYC and in Philadelphia where he lives. Even though Walt has not lived in NYC for many years Walt is still interested in New York radio. When Prodigy faded away Walt transitioned over to AOL where he started the WCBS-FM folder where I first encountered Mary Shaw, Linda Cohen and Al Gordon. In June 2006 Walt came to the Meet and Greet we had at Ellen's Stardust Diner. Another big radio enthusiast whom I met on Prodigy is Victor Monachelli. In July 1995 I visited him at his pet store in Yonkers. He was such as enthusiast of WCBS-FM that he would close his store to go into Manhattan to see concerts sponsored by the station. He moved to Florida and is very active on Facebook. Two other people on the Prodigy boards are Famous Amos (Russ Dibello) and Anita Bonita who are regulars to our gatherings. About 5 years ago in this journal I wrote how I have been a big fan of Car 54 Where are You since the show was first on the air in 1961. In fact I sang the theme song when I phoned into a now defunct radio show. I won’t get into the details about that here. 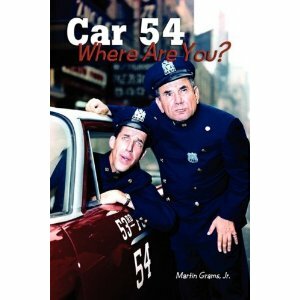 The major stars of Car 54 were Joe E. Ross and Fred Gwynne who played Officers Gunther Toody and Francis Muldoon, respectively. One of the other characters on the show was Captain Block played by Paul Reed. Teed, Paul. You Grew Up! 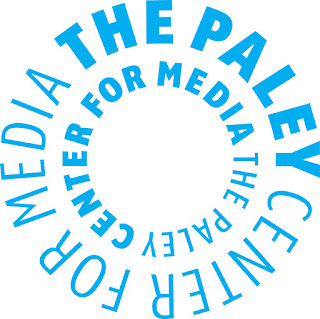 : The Life and Career of Paul Reed. Albany, Ga: BearManor Media, 2010. Print. Here’s Love - Fred Gwynne also appeared in this show. An interesting tidbit was that Paul appeared in scenes in Car 54 in the morning and acted in How to Succeed in the evening. I enjoyed the numerous photographs that the author provides and the list of his appearances in various shows, movies and TV appearances. Paul was also a very good singer. I was very disappointed that very little was said about his two years in Car 54. I was hoping to read many anecdotes about the many episodes where Captain Block was a major character. There was no bibliography, so the author relied on his memory, and interviews with his family and with some entertainers listed in the acknowledgement section. He did interview Joe E. Ross, Fred Gwynne, Nipsey Russell, Al Lewis, and Hank Garrett of the Car 54 cast, but so little about this show was in the book. I vaguely remember that Paul Reed appeared in several TV commercials during the 1980s. Paul Reed lived to the ripe old age of 97. I thank his son for writing this biography of his father which provided me much information about the man I didn’t know. It must be difficult to write a biography of your father so I commend him for doing that. Louise Murray, formerly of the Jaynettes, singing her version of My Guy which recorded by Mary Wells. Pete Ritzert singing the Kinks hit Sunny Afternoon. 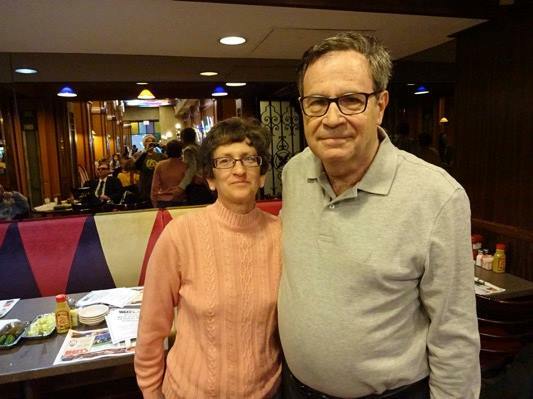 The most important thing was to get together with people who share a passion for oldies radio. You really don’t “know a person” through Facebook or message. You must meet and greet them face to face. It was also nice to keep our mind off the terrible aftermath of Hurricane Sandy. This was a very trying week for with commuting to work. New Jersey Transit was on a reduced schedule while I confronted two major commuting delays not related to the storms. Since I have an even numbered plate, I felt I should try to fill up my gas tank. I consulted the Gas Buddy web site which indicated a station at 17th rd had gas with waiting less than 30 minutes. I drove over there and discovered they had no gas. Gas Buddy indicated that a station near my home at 20th Avenue and Parsons Blvd. was open. I used that station several times for repairs and was happy with their service. When I passed by there they appeared to be open. I got on line at 8:15, but after 15 minutes there was absolutely no movement. I really didn't need the aggravation of waiting indefinitely, so I decided to leave the line and drove home. If I needed my car for business, I likely would have waited it out. My gas gauge now read 1/4 tank left, so I most have about 4 gallons left. It is a shame that one must use gasoline to find gasoline. At about 10:30, I rechecked Gas Buddy which stated that this station didn't start pumping gas until 8:45 with about a 90 minute wait. I feel that I made the right decision since I did not want to risk missing the Oldies Meet and Greet or go there aggravated about my search for gas. Hopefully in the days to come this situation will alleviate itself with deliveries to more stations. I did search Twitter using the tag #queensgas. It seems that in other parts of Queens there were short lines for gas. I still must count my blessings that my inconveniences from Hurricane Sandy were minimal. Sadly many lost power for several days while others lost their homes. I still have about 5 gallons left in my tank. The mayor just announced an odd even gas rationing system in NYC. Since my license plate ends in a 6, I will have to go hunting for gas on Saturday morning. 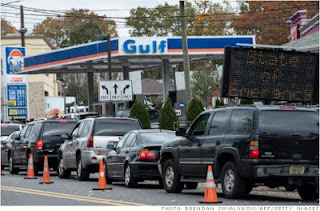 There is a web site http://www.gasbuddy.com/Sandy which reports the availability of gas. There are so few gas stations in Queens that are open. Hopefully the rationing system will help alleviate the problem. I thought that by now the situation would have been resolved. I also suggest people be forbidden to get gas if their tank is more than 1/2 full. New Jersey Transit is still running on a greatly reduced schedule on the Northeast Corrider. On the positive side the Newark Light Rail resumed service running every 15 minutes instead of every 6 minutes. At least I didn't have to walk a mile in this snowy weather. On the way home I had problems with the MTA. When I got to Times Square there was a smoky condition on the #7 line so I had to walk underground to 8th Avenue to pick up the E train. I changed to the #7 at 74th Street. There was a delay as we approached the Main Street station. At least I was not on the LIRR tonight as the entire system came to a standstill. On a day like today I wish I was a consultant who works at home. Another bad commute today on the New Jersey side. The only slight improvement was that Rutgers offered a van from Newark Penn Station to their campus which is across the street from NJIT. I voted at 6:50 AM, but Karen told me the polling place was very crowded when she came about 12 noon. Right now I am listening to Breakfast with the Beatles featuring rarities. Jeopardy was pre-empted on Channel 7 since they started their election coverage at 7 PM. Only 3 states closed their polls by 7 PM. I think the presidential elections of the 1960s and 70s were much more exciting. The public transportation was good on the New York side of the Hudson, but when I arrived at Penn Station I saw that New Jersey Transit was operating on a greatly reduced schedule. I usually get on the 7:36 or 7:44 train, but I had to wait until 8:14 to depart. When I arrived at Newark Penn Station I saw that the Newark Light Rail was not operating. In the past substitute bus service was provided, but not today. Thus, I had to walk a mile to NJIT in the University Heights section. Many of my library colleagues still did not have power at home. I really am lucky to have weathered the storm with minimal inconvenience. Tomorrow is another day. Tomorrow will be my first day back to work after superstorm Sandy. After seeing the devastation on television, I must still count my blessings that my inconveniences over the past week were minimal. This has to be the worst natural disaster to hit New York City in my lifetime. My normal commute is tough enough as it is. Let me try to predict what will happen tomorrow. 2. #7 Train to Times Square - full service on the #7 line resumed yesterday. I am guessing there will be only local service available. 4. New Jersey Transit from New York Penn to Newark Penn - Service has resumed on the Northeast Corrider line. I am guessing that certain trains will be cancelled, so it may take a little longer. 5. Newark Light Rail to NJIT - As of now there is no service. In the past when the light rail was down substitute bus service was implemented. There has not been an announcement about this yet. If I have to I can walk 1 mile from Newark Penn to NJIT. We all must take this ordeal one day at a time. I think I should finally change the subject and move away from Hurricane Sandy and its aftermath. There have been many librarians on Jeopardy who were big winners on Jeopardy. Vijay Balse was a chemical engineer who was a big winner on the show, but until now I can not remember any research chemists who won big on my favorite TV show. Keith Whitener from Charlotte, NC introduced as a research chemist won 7 times with about $148,000 in winnings. In a tough match tonight, he didn't make it to victory #8. I congratulate him will be rooting for him when he returns for the Tournament of Champions. I used my librarian skills and found 3 publications of his in Scopus. There are likely more in Scifinder Scholar, but I was just lazy :) He published in some prestigious journals. I am so lucky that I faced minimal inconveniences during and after Hurricane Sandy. The devastation in Staten Island is just tragic. There are still thousands of people who have not regained power. Mass transit is coming back albeit slowly. As of today the #7 line is running only from Main Street to 74th Street. Service on New Jersey Transit is minimal. I really don't have to be concerned about this until Monday. There are lines for gasoline that are reminiscent of the 1970s. This too shall pass. Normalcy is a relative term as some people will have to completely rebuild their lives after losing their homes. My thoughts and prayers go out to the victims of this storm. In recent years I have not been much of a chart guy, but on the Billboard album chart Tempest debuts at #3. Will it hit #1. We'll check in next week. I spent some time thinking of the year past and my hopes for 5773. It was nice to spend some quiet time with the family on Rosh Hashana. I received my tickets for the Dylan concert at the Barclay center in the mail. 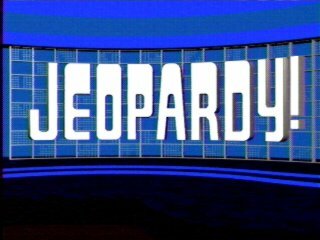 Yesterday was also the start of the season for Jeopardy. I say that if you enjoy something, go for it. As of 5 PM, the big rain has not yet come. The Mets and the Yankees who were scheduled at home already cancelled their games. I did not check my work e-mail over the holiday. I read it tomorrow when I return. Sadly, some people don't talk, they send e-mail. I've initiated some unpleasant confrontations over this issue in the past. I will stand my ground if I feel I am right.